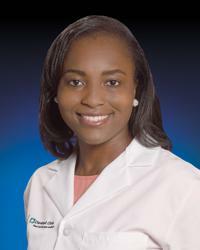 Tolulope Adesiyun Agunbiade, MD is a cardiologist specializing in Advanced Heart Failure at the MedStar Heart & Vascular Institute. She sees patients at MedStar Union Memorial Hospital and MedStar Good Samaritan Hospital. Dr. Agunbiade specializes in the management of patients with heart failure, cardiogenic shock, and those requiring mechanical support devices including left ventricular assist devices (LVADs) and long-term intravenous infusions for advanced heart failure. Her clinical interests also include the management of patients with peripartum cardiomyopathy and the field of cardio-oncology, specifically preventing and managing the cardiovascular complications of chemotherapy and radiation therapy for the treatment of cancer. Her philosophy of patient care revolves around the view that every patient she cares for should be treated the way she would want her family members to be treated - with empathy, respect, and excellence throughout each interaction. She strives to treat both the patient and the disease, realizing that heart failure is a life altering diagnosis that is best managed through a true partnership between the patient and physician.